What Does It Mean to Be a Martyr? Not long before the martyrdom, Hyrum read a “paragraph near the close of the fifth chapter of Ether, in the Book of Mormon.”5 Moroni, an ancient American prophet, wrote the passage Hyrum read (now Ether 12:36–38) some 1500 years before, and yet his words were unforeseeably a propos on that fateful day. Joseph and Hyrum assuredly suffered death to seal their testimonies. Their deaths show their utmost sincerity as well as their fellowship with the ancient prophets, who also stood as martyrs for truth. Anciently, God sometimes required his prophets to risk their lives (including Abraham, Elijah, Jeremiah, Daniel, Lehi, Alma, and Amulek) or even give their lives (such as Urijah, Abinadi, Stephen, and Peter). The same is true in the latter-days, and Joseph and Hyrum stand as the preeminent examples of this. With no guile or hypocrisy, Joseph the martyr could declare as his life was about to be taken, “I have a conscience void of offence, towards God, and towards all men.”11 His testimony of the Book of Mormon, repeatedly born throughout his life, was unequivocally confirmed through his death. Dallin H. Oaks, "Legally Suppressing the Nauvoo Expositor in 1844," in Sustaining the Law: Joseph Smith’s Legal Encounters, ed. Gordan A. Madsen, Jeffrey N. Walker, and John W. Welch (Provo, UT: BYU Studies, 2014), 427–459. Davis Bitton, Knowing Brother Joseph Again: Perceptions and Perspectives (Salt Lake City: Greg Kofford Books, 2011), 73–106. Richard Lyman Bushman, Joseph Smith: Rough Stone Rolling (New York: Vintage Books, 2007), 539–550. Joseph I. Bentley, “Martyrdom of Joseph and Hyrum Smith,” in The Encyclopedia of Mormonism, ed. Daniel H. Ludlow (New York: Macmillan, 1992), 1:860–62. Hugh Nibley, "Prophets and Martyrs," in The World and the Prophets (Provo, UT: FARMS, 1987), 172–181. 1. The Prophet had been ordered to stand trial for inciting a riot after the Nauvoo City Council (under Joseph’s direction) approved the suppression and destruction of a dissident and (in the mind of the council) libelous newspaper–––the Nauvoo Expositor. The charges were trumped up to treason after the riot case was postponed until September, forcing the Prophet to stay at Carthage to await trial, as treason was a nonbailable offense. See Joseph I. Bentley, “Martyrdom of Joseph and Hyrum Smith,” in The Encyclopedia of Mormonism, ed. Daniel H. Ludlow (New York: Macmillan, 1992), 1:860–62; Richard Lyman Bushman, Joseph Smith: Rough Stone Rolling (New York: Vintage Books, 2007), 539–550; “Legal Chronology of Joseph Smith,” in Sustaining the Law: Joseph Smith’s Legal Encounters, ed. Gordan A. Madsen, Jeffrey N. Walker, and John W. Welch (Provo, UT: BYU Studies, 2014), 511. 2. The Doctrine and Covenants of the Church of Jesus Christ of Latter Day Saints; Carefully Selected from the Revelations of God. By Joseph Smith, President of Said Church (2nd ed. 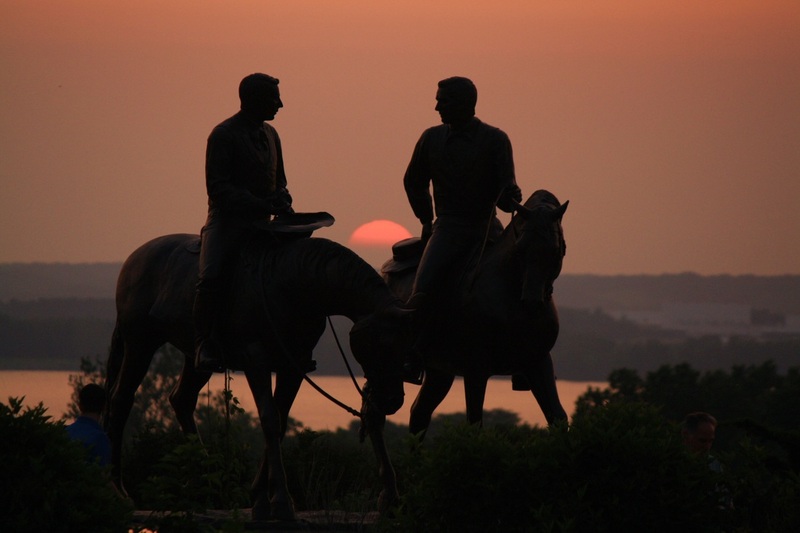 Nauvoo, IL: John Taylor, 1844), 444–45 (=Doctrine and Covenants 135:4). 3. See “To Emma Smith, June 27, 1844,” in Personal Writings of Joseph Smith, ed. Dean C. Jessee, rev ed. (Salt Lake City, UT: Deseret Book, 2002), 611. 4. “Two Minutes in Jail,” Times and Seasons 5, no. 14 (1 August, 1844): 598–99. Joseph L. and David W. Lyon have conducted a thorough forensic investigation into the martyrdom that has yielded illuminating results. See Joseph L. Lyon and David W. Lyon, “Physical Evidence at Carthage Jail and What it Reveals about the Assassination of Joseph and Hyrum Smith,” BYU Studies 47, no. 4 (2008): 5–50. See also the discussion of the historical accounts of the martyrdom in Mark Lyman Staker, “John Taylor’s June 27, 1854, Account of the Martyrdom,” BYU Studies 50, no. 3 (2011): 25–36. 5. The Doctrine and Covenants of the Church of Jesus Christ of Latter Day Saints, 445 (=Doctrine and Covenants 135:4). 6. The Book of Mormon: An Account Written by the Hand of Mormon upon Plates Taken from the Plates of Nephi (Liverpool, England: Brigham Young, Heber C. Kimball, and Parley P. Pratt; printed by J. Tompkins, 1841), 610 (=Ether 12:36–38). 7. Dan Jones to Thomas Bullock, 20 January 1855: “During the evening the Patriarch read and commented upon copious extracts from the Book of Mormon, the imprisonments and deliverance of the servants of God for the Gospels sake; Joseph bore a powerful testimony to the guards of the divine authenticity of the Book of Mormon--the restoration of the Gospel, the administration of angels, and that the Kingdom of God was again upon the Earth, for the sake of which he was at that time incarcerated in that prison, and not because he had violated any law of God or of man.” See Ronald D. Dennis, ed. and trans., “The Martyrdom of Joseph and Hyrum Smith.” BYU Studies 24, no. 1 (Winter 1984): 101. This excerpt from Jones’ letter would appear in History of the Church of Jesus Christ of Latter-day Saints, ed. B. H. Roberts (Salt Lake City, UT: Deseret Book Company, 1948), 6:600. 8. Liddell and Scott’s Greek–English Lexicon (Oxford: Claredon Press, 1891), 426. 9. Hugh Nibley, The World and the Prophets (Provo, UT: FARMS, 1987), 181. 10. Robert C. Patch, “Martyrs,” in The Encyclopedia of Mormonism, 1:862. 11. The Doctrine and Covenants of the Church of Jesus Christ of Latter Day Saints, 445 (=Doctrine and Covenants 135:4). What Can We All Learn about Repentance from the Tragic Loss of the 116 Book of Mormon Pages?